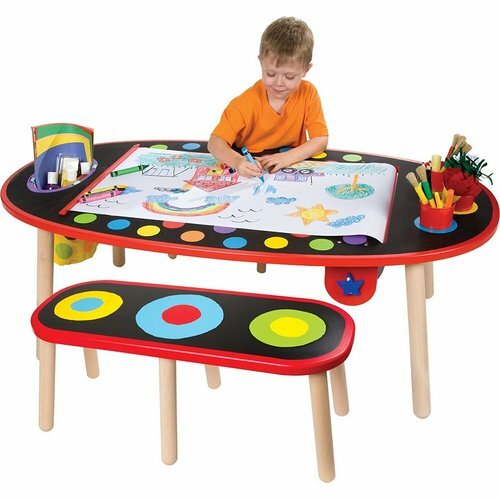 This award-winning art table helps inspire children's creativity. 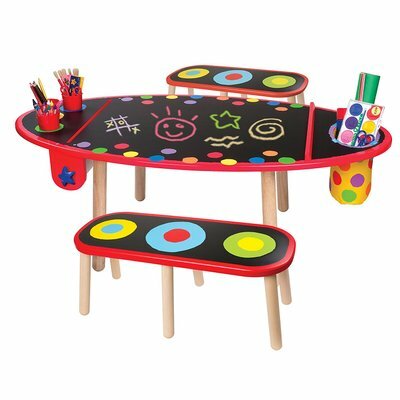 This table comes with two benches, has a chalkboard tabletop surface, a hanging paper roll, child-safe paper cutter, 3 cup holders, 3 plastic cups and a canvas storage bag. It is made of sturdy wood and has durable plastic cups so it will stand up to years of art and play. The Super Art Table looks great in any child's room, play area, classroom, or daycare!